Now there are two CANs!! 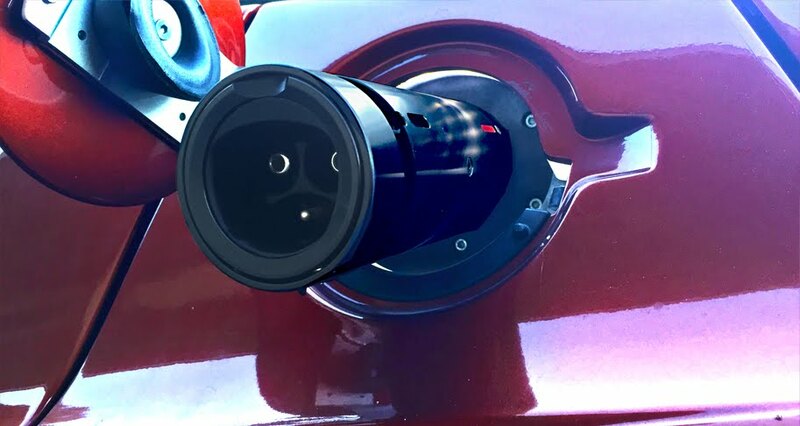 The CAN is a simple lightweight connector adapter for your Tesla Roadster. With thousands of J1772 and Tesla connectors being installed nationwide this is a must have Roadster accessory. Small enough to leave in your trunk the CAN is the same diameter as a soft drink can and weighs about the same as it full of root beer . 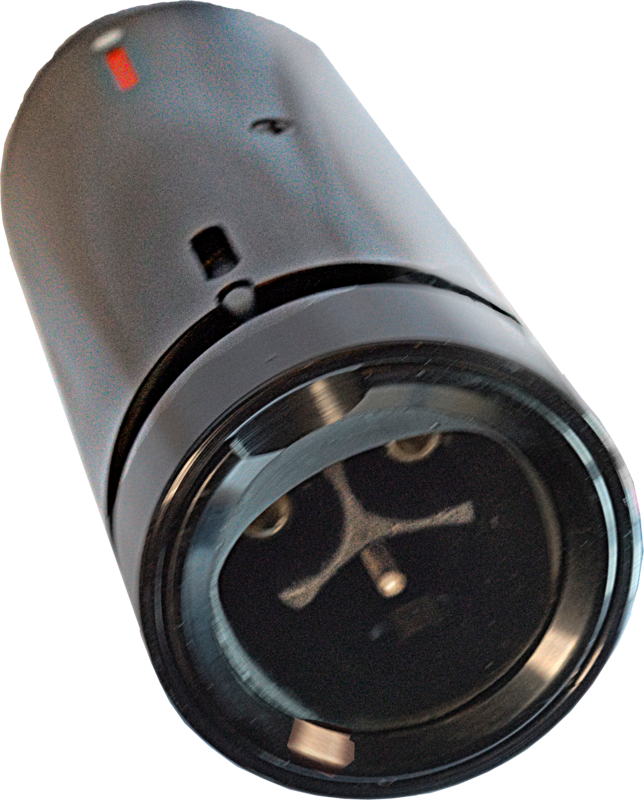 The CAN is smaller and lighter than a cabled adapter and eliminates the 2nd connector. One piece design ends the bending down to the asphalt to pick up dirty cables to put in your trunk. The cool black styling goes with your car (black goes with everything) and looks just like your Tesla plug but works easier since it’s lighter. At 22oz, 2.5' dia. and 6.6" long it's cargo pocket size! For security both the CANs have a small through hole in the device that provides a way to use a small $4 hardware-store padlock (not included) preventing theft of THE CAN while plugged into your Roadster. Both are "must have" Tesla Roadster accessories. 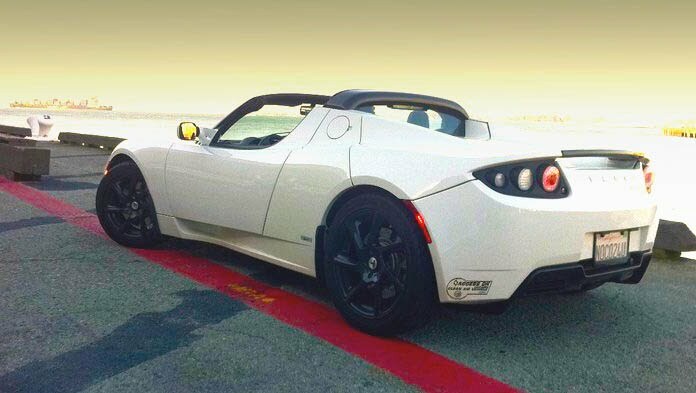 Listen to what other Roadster owners are saying! How do I get one of these black beauties? The CAN is made by Henry Sharp. 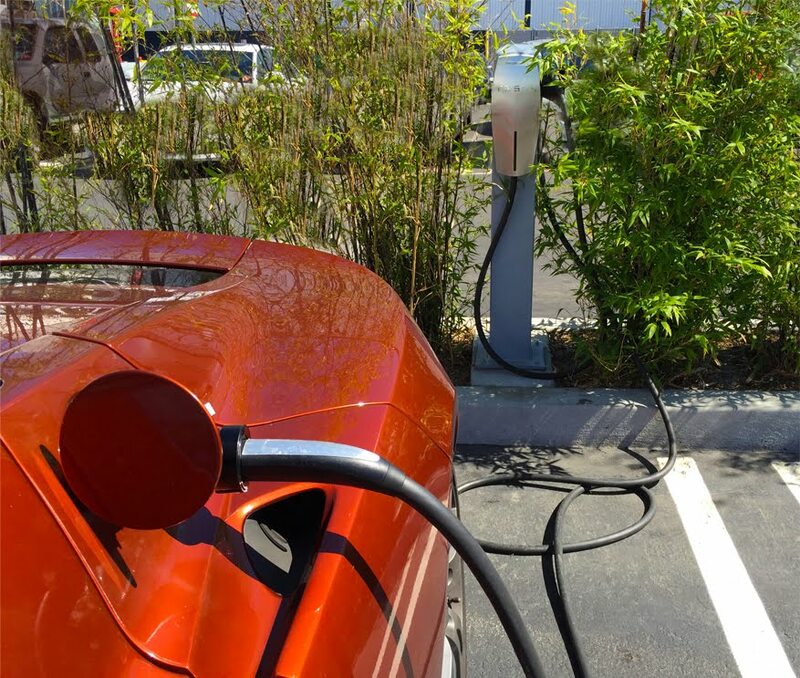 Henry is a talented and active member of the Tesla Motors Cub forum (TMC). Specify if you want the CAN JR or SR or both (!) when you are ordering. Price for THE CAN JR (works with J1772 connectors) is $695. Price on THE CAN SR that works with the Tesla 2 connector (Model S and X) is $795. To order, send an email to Henry “at” HCsharp.com or you can PM Henry on TMC. The CAN is made by Henry Sharp henry@hcsharp.com Read more here.